Though social media has been the king in the modern-day marketing domain, there is no better way to communicate with the clients than through E-mails. It has been a tried and tested marketing tool and is well-known as the “grandparent of social media marketing”. E-mail marketing may not be considered a “cool” way of interacting with the clients, yet it is proven to be one of the most valuable and targeted channels to reach your audience. In fact, you may use E-mail marketing strategy to make money by promoting your apps. Use E-mail marketing to communicate with your clients about your services that adds value to their needs. Mailchimp is one of the widely used E-mail marketing applications with over 7 million users. The user interface includes social sharing integration, customized signup forms that you can integrate into your website or Facebook page, dozens of customizable templates, shopping carts, fully featured API to sync existing customer database and many more features. It is an ideal tool for beginners since it offers free signup up to 2000 subscribers and send up to 12000 emails per month, with limited features. However, paid plans offer additional features like spam filter diagnostics and auto-responder, and are also affordable. It ranges from $10 -$450 per month, depending on the number of subscribers and the number of emails sent per month. The $450 plan allows up to 85,000 subscribers and more than a million emails a month. You can cancel your subscription any time you want. This interface offers an exclusive set of features for e-mail marketers, including time-optimized messages, A/B tests, transactional emails and auto responses. You can also create promotions and barcodes for retail discounts for all your subscribers. FreshMail is totally free up to 500 subscribers and 2000 emails per month. The paid plans start at $14 per month. Benchmark Email’s Free plan offers far more than what some of the other free plans offer. It gives you access to an extensive array of features enabling you to use email templates, create online surveys, and track email statistics. Benchmark Email’s editor works just like a Word Document, for totally simplified and streamlined design, even if you are not a skilled designer. It is free for up to 14000 emails for up to 2000 subscribers. The plans with unlimited emails start at $11.95 per month for up to 600 subscribers. 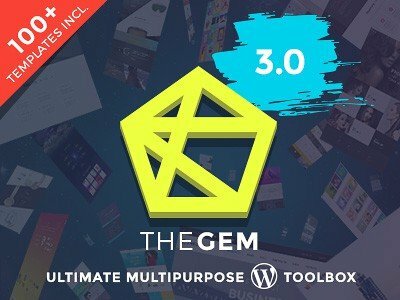 Definitely one of the best mailchimp alternatives when come to pricing! E-mail marketing is one of the components of the host marketing products of Vertical response. Other products include event marketing, social media marketing, online surveys and other applications. Vertical response is a comprehensive E-mail platform, including tons of email templates to choose from, easy sharing functions and real-time analytics. An autoresponder tool is offered free for a limited time, while you can create an unlimited amount of signup forms. It offers an exclusive volume-based and feature-specific pricing structure. You can try Vertical Response for free up to 300 subscribers, as well as customise your plan based on your requirements. It is one of the most comprehensive Email marketing applications with a variety of ancillary tools. These include surveys and event marketing and you can get these added with a fee. Constant Contact has awesome built-in analytics, along with its social sharing features and its customizable template database which is highly impressive. You can get started off with Constant Contact on a 60- day free trial and further proceed with plan as minimal as $20 per month. It is another amazing Email marketing application which allows you to import contacts from Gmail and Yahoo! Mail address books to create the subscriber list. It also offers readymade templates, and signup forms to add subscribers as well as reduces the burden of follow-up for you, by sending autoresponder emails. You can start off with Campayn and test out this platform’s functionality for free, for up to 20000 emails and 500 subscribers. Paid packages start at $10 monthly for 1000 subscribers. This is an amazing application which allows you to create newsletters and landing pages in minutes. Get Response includes customized offers, mobile apps and more. It also segments subscribers for greater impact through targeting and perfection in timing. The newsletters may be integrated with the calendar for maintaining the perfect timing. Autoresponder tool of Get Response uses drag and drop feature to make calendar management a cakewalk. The pricing starts at just $15 per month for up to 1000 subscribers and can go up to $799 monthly for more than 100000 subscribers. You can cancel the subscription anytime, since there is no contract with Get Response. Sendicate is the simplest and the best Email marketing platform. The platform focuses on the content. The Sendicate editor lets you choose what you want to add to your emails, compose your emails long before you are ready to send them out, and then release them at the desired time. The subscribers may be segmented using search filters, thus helping in strategic marketing. Sendicate is free up to 1000 emails and 500 subscribers, but will cost you as low as $9 per month for unlimited emails up to 500 subscribers. 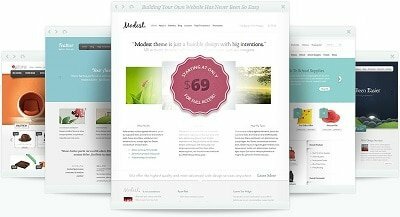 Its easy-to-use template builder allows you to create your own email templates, where you could choose from a variety of layouts, colours, customize your text and images, and even work on personalized messaging. Campaign Monitor’s key strength is its clutter-free and straight- forward interface. It optimizes the emails for mobiles automatically, thus being the perfect solution for mobile-driven users. Signup for Campaign Monitor is free, while the basic package starts at $9 per month. AWeber’s autoresponder tool is highly engaging to the customers. 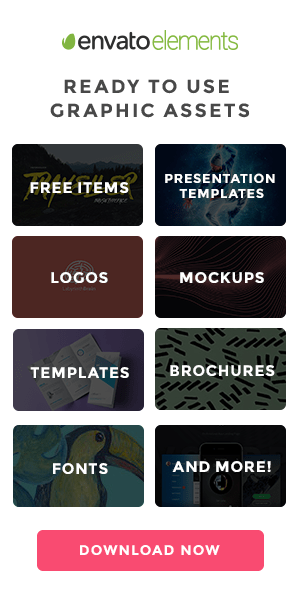 You can get an access to over 150 email templates to smoothen your email design process. Its major features include autoresponder follow-up, signup forms, customizable HTML email marketing templates, a full- featured API, RSS-to-email (creates emails automatically from the latest blog posts) and much more. It has an extraordinary and robust learning database featuring live webinars, video training and a complete knowledge base that helps you navigate the features. It also has a blog with tips on how to maximize your email marketing campaigns. It offers you a 30-day free trial after which it costs just $19 per month for up to 500 subscribers. There are many more Email marketing tools and mailchimp alternatives like Zoho, Emma, StreamSend, MailJet, etc., that help you with your Email marketing campaigns in 2018. Do some market research and buy the best tools that suit your requirements. Various applications have a free trial period after which it expects you to purchase it, even if it starts at a low price. If you are wondering from where you could buy them with minimal investment, CouponoBox comes to your rescue. It is a site where there are best deals available for business tools. It has a variety of stores and categories to choose from for anything that you purchase in the US. So, what are you waiting for? Go ahead and choose the email marketing application that suits your requirement. Start sending emails to your clients and promote your business with Email marketing campaigns! !